Here is one I get asked all the time. 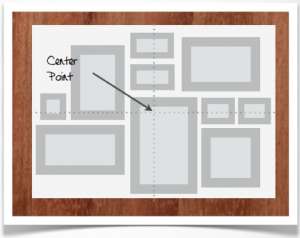 Displaying artwork in a way that is pleasing to the eye is one of those things that takes a little time to do, and once you get it right – you got it! So, what I’m sure we’re all wondering, is how do they find the spot where to drive the nail? It’s easy: Templates. Head on down to an office supply store and get a roll of brown paper for 3 bucks and use some blue tape left over from when you painted your walls. 1. 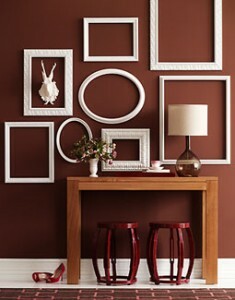 Trace each framed image onto the paper and cut it out. 2. 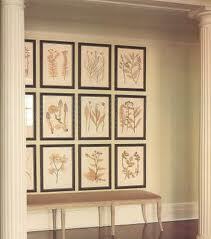 Find the spot on each frame where the nail would be driven and correspond that onto the paper. 3. Mark the spot on the paper. 4. 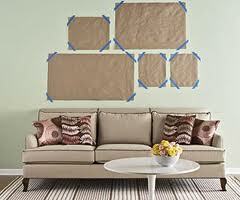 Hang the paper template on the wall and move accordingly. 5. Use a level or if you’re good, just eyeball the position of the templates. 6. Use the hanging hardware appropriate to the weight of your artwork, and you’re good to go! 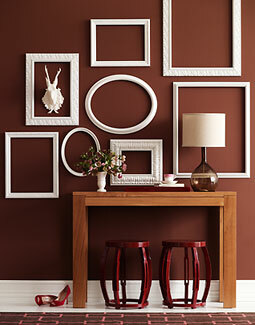 For smaller frames, you can trace them on one large piece of paper and hang the whole thing on the wall. Here’s a little trick: to make sure the art doesn’t get crooked, add a piece of double sided tape in one of the corners after you hang it! If you don’t have double-sided tape, Fun-tack works just as well. Have fun with this. Once you get the basic steps, let your creativity run with the idea!